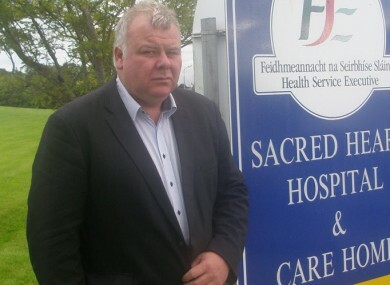 INDEPENDENT TD MICHAEL Fitzmaurice has hit out at the Department of Justice for their handling of the establishment of a refugee centre in Roscommon. Fitzmaurice has claimed neither he nor any other TD from the constituency knew of the plans before it was announced that the Abbeyfield Hotel in Ballaghaderreen would accommodate 80 refugees. Politicians in the area only found out about the news through Facebook and the media, something which Fitzmaurice describes as farcical. The TD said no local agencies had been contacted about the imminent arrival of a number of refugee families. The local schools, GPs and county childcare committee were also “left in the dark”. Fitzmaurice said: “Look, it is generally accepted that Ireland will have to accept a certain number of refugees. Different people have different views on that and everyone is entitled to their opinion. The reality is that, regardless of the rhetoric, people are going to hear this is going to go ahead. It’s disingenuous for anyone to say otherwise. Fitzmaurice also questioned whether any elected individual had any idea this was going ahead and laid the blame firmly at the feet of civil servants, who Fitzmaurice believes ran with an idea without consulting with elected politicians. Fitzmaurice, who was elected to the Dáil for the first time last year, said his constituents are concerned about the refugees coming to Roscommon and said he hopes those who are coming to Ballaghaderreen are “well-screened”. He added: “We are being assured that they are being well vetted and screened but we live in a changing world and people’s concerns are legitimate. The majority of those coming no doubt will be women and children who are innocent victims of war, but they need to screened regardless and screened well. Email “'This is a farce': Anger as TD 'left in the dark over refugee centre'”. Feedback on “'This is a farce': Anger as TD 'left in the dark over refugee centre'”.